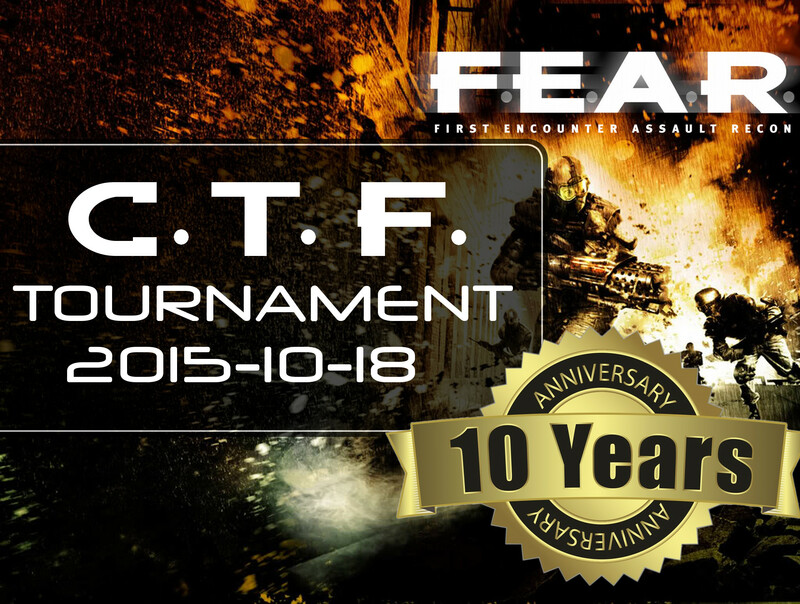 After almost 3 months, the FEAR CTF Tournament has finally drawn to a close. 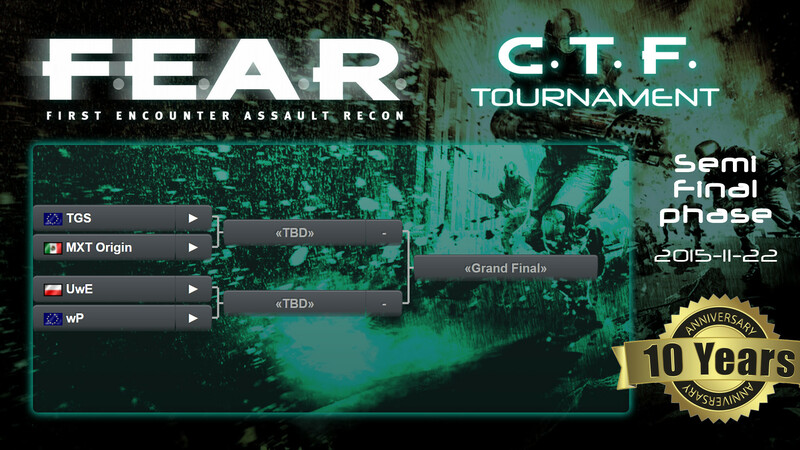 Congratulations to Team CE, the winner of the tournament! 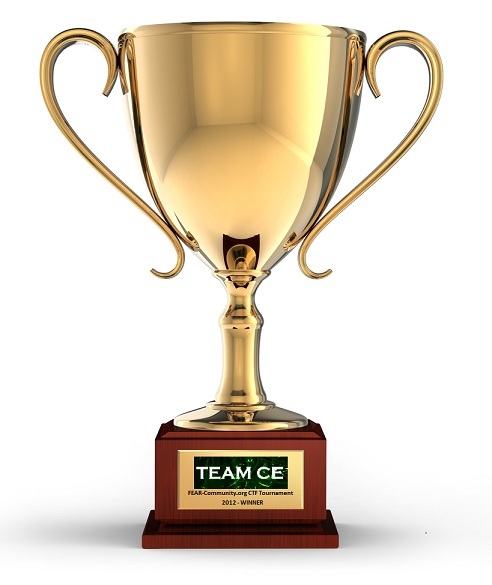 Honourable mention goes to For The Lulz, who claimed the Runner Up position, and a big thank you to all of the other teams and referees that helped to make this tournament a success! 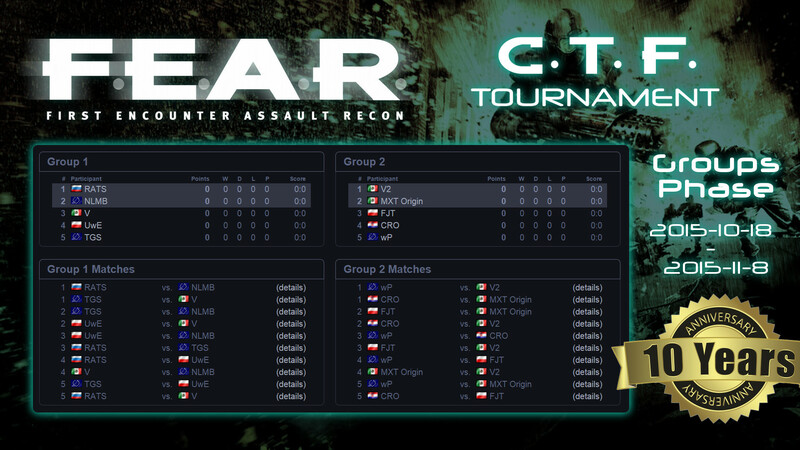 Next up is the final match between CE and FTL!